Photo Editing – A required necessity or false advertisement? 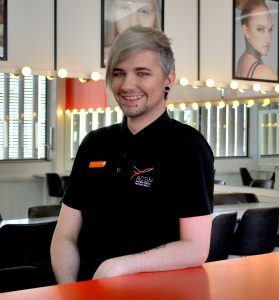 In the make-up world, there is a collection of issues that tend to work on a rotation, such as unqualified make-up artists charging high end rates and failing to deliver safe working practices… Or make-up artists undercutting the industry by charging far less than the industry standard! But lately, I’ve been noticing something coming up a lot more often in this Rolodex of issues within our industry, with some people sitting on one side of the proverbial fence and a majority of us on the other. And that issue is photo editing. Or correcting make-up applications to be more precise. But I can hear you asking now, “Alistair! What’s the difference between someone Face Tuning their make-up work and a photographer editing the photograph?”…. And that’s a completely fair question, because it seems a lot of people don’t understand the difference. I thought I would break it down and put my two cents on the situation. But first, let’s go back to where the photo editing craze began. Whether you’re gearing up for Halloween or April Fools Day – they say that a little bit of makeup does a great job of suggesting a nasty fall or a whack to a limb. With clever application techniques and the right make-up, you can easily create a convincing bruise to a particular body part. This week at the Australian College of Specialist Make-Up, our Diploma of Screen and Media students tackled what can be the most daunting and extensive procedure that any special effects artist will face. That process is life casting. What is a face chart? Basic answer is, it’s a way for make-up artists to plan and/or design a look prior to applying the look to their client. Face charts are helpful to streamline make-up looks for a fashion show or photoshoot and is a great way to give a look a ‘test run’. Here at ACSM, our students use face charts for each and every single look they want to create – whether it be for their avant-garde assessment or their photographic make-up look. Want to see face chart being created in real time? Our brilliant lecturer, Alistair, created this look – check it out below! Every make-up lover has their soul-crushing moment when they drop their make-up bag, and open it to find your fave powder/palette/shadow in a bazillion pieces – yep… soul-crushing! Have no fear, ACSM has your back… Keep reading for a short video on how to bring those babies back from the dead! A bold lip is the perfect way to transform your look… or even your entire face! Read on to get our top four commandments when it comes to a bold lip! Today we will be having a quick chat with Alistair Arkwright, who is our Senior Lecturer here at ACSM! Winged liner…. A staple skill that every make-up artist should know. But trust us, we know how hard it is to get it right! Check out our short video to get some short tips & tricks from our very own trainer, Mercyll. We paint, contour, colour and brush our faces with our make-up brushes every. single. day, but how often are those brushes being cleaned? Turns out, not enough. According to dermatologists and makeup artists, we should be soaping up our tools on a weekly basis — at least — in order to prevent bacteria buildup, which can ultimately led to unwanted breakouts. Read on to find out OUR tips on how to keep those make-up brushes squeaky clean! Many makeup styles require a different eyebrow shape than what you might already have, making it necessary to cover yours up! Whether you’re going for a fierce drag look, creating a Halloween-inspired look, or simply just spicing up your usual appearance; covering your eyebrows is relatively simple!